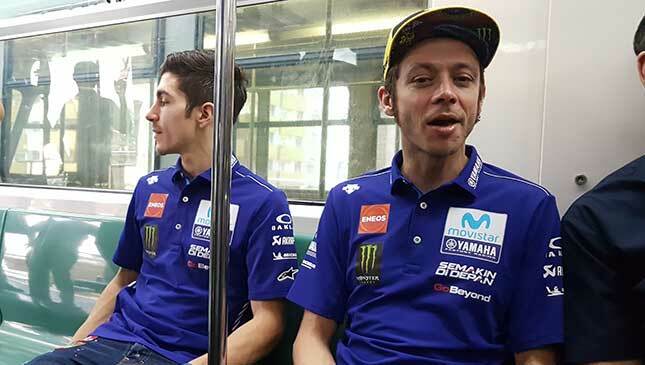 Valentino Rossi asks during LRT ride: How fast can this train go? 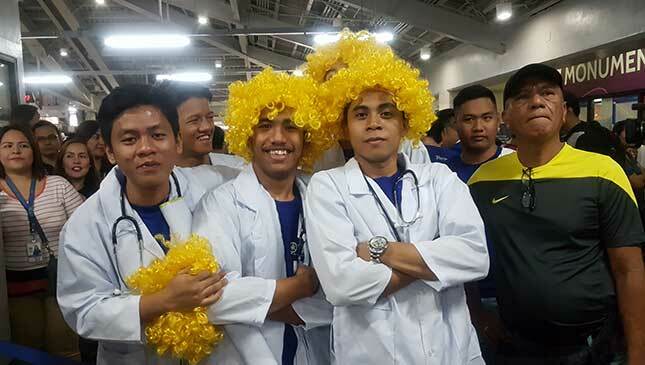 If not for their Caucasian features and the barrage of security personnel surrounding them, commuters of the Light Rail Transit (LRT) Line 1 would probably have not recognized the two world-famous athletes who joined them during the morning rush. 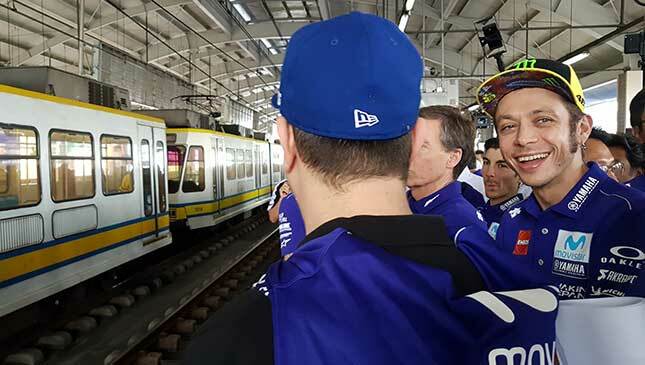 Yamaha MotoGP riders Valentino Rossi and Maverick Viñales surprised LRT commuters when they arrived at the Roosevelt Station at 10am today, and boarded a northbound train to the newly renamed Yamaha-Monumento Station in Caloocan City. 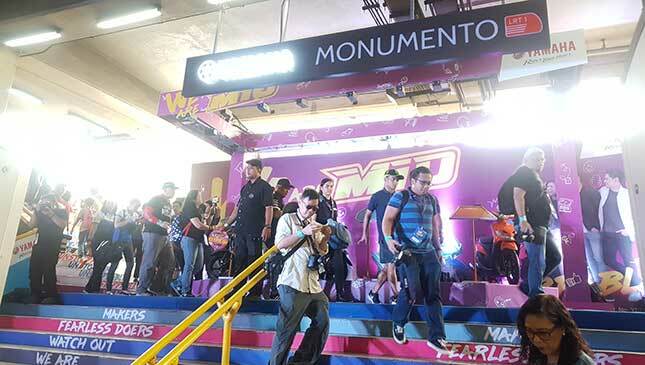 The Yamaha-Monumento Station is a joint undertaking by the Japanese motorcycle maker and LRT authorities, but the details of the partnership have not been divulged by both parties. Looking very relaxed, Rossi and Viñales arrived at the station wearing team shirts, caps, walking shorts and denim pants. Yamaha Motor Philippines president Toru Osugi, Department of Tourism assistant secretary Ricky Alegre, and LRT officials led by Light Rail Manila Corporation (LRMC) CEO and president Juan Alfonso also showed up to join the inaugural ceremony. Of course, there were a throng of Rossi and Viñales fans at the platform wanting to take a selfie with their racing idols, but only a few were lucky enough to have a photo with the two. After a few brief speeches at the platform, Rossi and Viñales boarded an LRT train freshly wrapped in big Yamaha promotional stickers. Yamaha slogans saying ‘We are MIO…unstoppable’ were all over the train station. 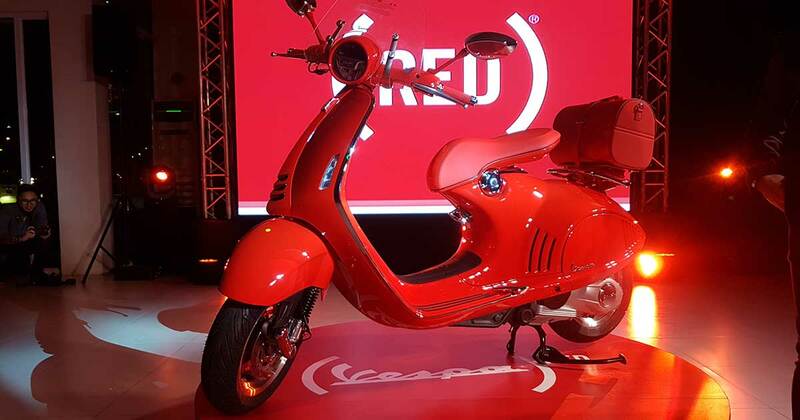 The Mio is one of Yamaha’s best-selling scooters in the country. The group's destination was 10th avenue in Caloocan City for Yamaha's grand Time2Rev celebration. Media were supposed to take the next coach but a few, including yours truly, managed to slip into the train carrying the two MotoGP stars. Sitting side by side with Viñales, we overheard Rossi discussing some private matters with Yamaha officials seated on his left side. In the middle of the 10-minute ride, Rossi suddenly asked Alfonso: "How fast can this train go?" 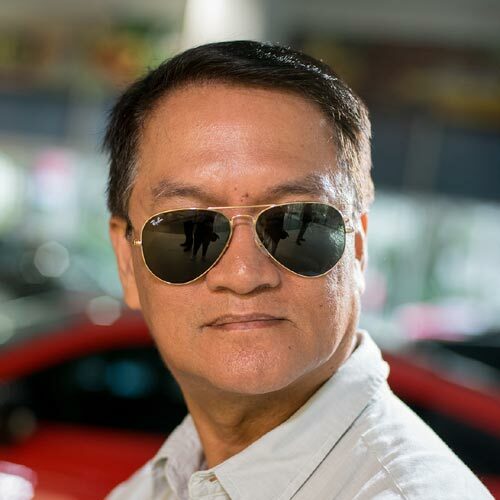 The LRT honcho replied with a big smile, “It’s now moving at 40kph but it can speed up to 60kph on the average.” Rossi smiled back at Alfonso and thanked him for his candid response. Come to think of it, the nine-time MotoGP world champion is used to pushing his race bike to more than 300kph, so mortal speeds must seem amusing to him. Later during the Yamaha dealers conference at the Seda Hotel in Quezon City, Rossi admitted it was his first time to ride a train. “It was a great experience!” he said. Viñales was equally ecstatic after the LRT ride. This was Rossi’s third visit to the Philippines while it was the second for Viñales. 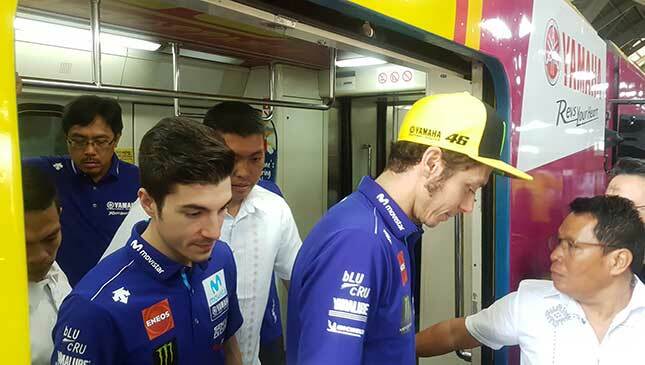 But other than experiencing the short train ride, Rossi and Viñales appreciated Yamaha’s adoption of an LRT station, saying that it’s a positive move to push for brand awareness among the daily commuters of the mass transit system. 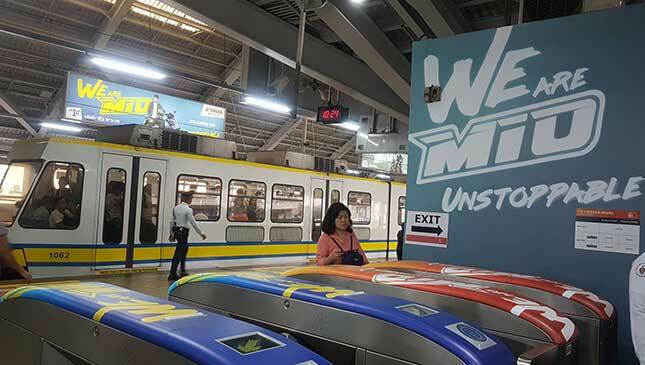 With this unprecedented move from Yamaha, will you still ride the LRT? Or take the Mio?